What an amazing year for both of these outstanding comedy programs. I don’t think I need to explain the genius of Steven Colbert’s performance art or Jon Stewart’s uncanny ability to simultaneously the funniest and most profound man on TV. 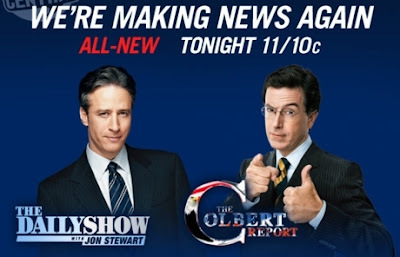 Those things are true in any year, but what made 2011 a standout season for both shows was how brilliantly Colbert and Stewart tackled the increasingly contentious political atmosphere of our times. Colbert’s season was highlighted by the running “Colbert Super PAC” feature, where Steven exposed the sickening corruptions of our campaign financing systems by jumping straight into the thick of it. When and if the Citizens United decision is ever reversed, history may say that Colbert played a crucial part in raising public awareness. Meanwhile, a GOP primary race so ridiculous even rank-and-file Republicans are ashamed of it provided Jon Stewart with some of his funniest ammunition in years. Reading the news these days makes me very angry, so thank God Colbert and Stewart are around to alleviate my stress at the end of every day. Sometimes, you have to laugh to keep from crying, and nobody knows that better than these two. It’s absolutely incredible that Chuck has lasted as long as it has, but in its advanced age, 2011 wasn’t nearly as impressive a year for the show as 2010 (which aired the entirety of its brilliant third season and the first, better half of the fourth). The second half of the fourth season faltered with some sub-par episodes, messy arc structure, and the show’s weakest villain to date in Vivian Volkoff. But even the Spring episodes held some incredible classics, including “Chuck Versus the Push Mix,” “Chuck Versus the CAT Squad,” and the finale, “Chuck Versus the Cliffhanger,” the second-best episode the show has ever produced. The fifth and final season, meanwhile, has been pretty darn great so far, with solid storytelling and the best handle on the supporting cast since season two. Throughout the year, the entire cast delivered some of their best work, with Yvonne Strahovski in particular delivering an Emmy-worthy performance each and every week. Overall, 2011 was a strong, if not remarkable, year for a show that has long-since earned its place as one of my all-time favorites, and I will be very sad to see it go come the end of January. TV’s most experimental comedy took an ever-so-slight step down in 2011 from its incredible highs of 2010, but that difference is negligible when the year included the back-half of the show’s pantheon-level second season and the first half of a strong third season, with more fantastic episodes than I care to count. This was the year in which the study group played the greatest game of Dungeons and Dragons ever, Abed made two hilarious and moving documentary episodes, Jeff accidentally created seven different timelines by rolling a die, the epic Paintball sequel took two whole episodes, and we even got the most devilishly clever clip show ever created. “Community” swings for the fences like no other show on TV, and if it occasionally misses, the incredible number of home runs more than makes up for it. I love these characters, I adore their wacky universe, and I will really, really miss the show now that it is on indefinite hiatus. Perhaps the most fascinating show on television, FX’s Louie is the blindingly brilliant product of Louis C.K.’s authorial vision. He writes, directs, edits, and stars in each episode, and if you are unfamiliar with the structure, it’s simplest to say that each half-hour delivers one or more short films based around Louie’s dark but poignant vision of the world. You never know what you are going to get on a week-to-week basis, but in the beautiful second season – more a half-hour drama than a comedy – it became clear that the end product would always be a dazzling work of art. Louie visited the troops in Afghanistan, professed his unreciprocated love to the woman of his dreams, spent an evening discussing stand-up with Joan Rivers, confronted Dane Cook over a long-simmering plagiarism feud, was visited by a friend who intended to commit suicide, and in the season’s best episode, even spent an entire half-hour taking a 360-degree look at the pros and cons of masturbation alongside an anti-masturbation Christian activist. Louis C.K. 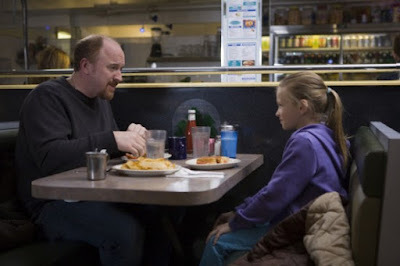 is the funniest stand-up in comedy, but in the world of TV, he’s an even better dramatist, and the second season of Louie is the ultimate testament to his genius. Though I didn’t make a TV Top-Ten list last year, I did present a Top Five list on The Monthly Ten Podcast, and at the top was Doctor Who, which in 2010, with Steven Moffat and Matt Smith taking over the show, delivered one of the all-time great TV seasons. 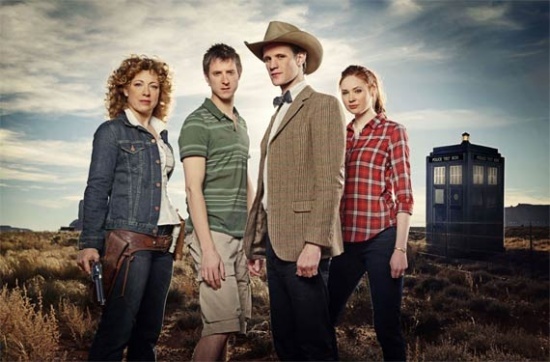 As a whole, this year’s sixth season (or thirty-second, depending on your count) was a step down, with an odd juxtaposition of arc-heavy Moffat hours and standalone tales and a finale that wasn’t as satisfying as everything that came before. But in the grand scheme of things, those are minor flaws, because Doctor Who did so, so much right this year. Every episode entertained me on some level, and most of the hours were pure genius, with “The Doctor’s Wife,” “The Girl Who Waited,” “Let’s Kill Hitler” and “Closing Time” going straight into the Who pantheon. The entire cast turned in even better performances than last year; Karen Gillan deepened and perfected her already outstanding work as Amy Pond, Arthur Darvill’s Rory came into his own as a companion for the ages, and Alex Kingston added layer upon layer to River Song. The standout, of course, was Matt Smith, who after his “bluest blue” speech in the series five finale seemed to have already played his entire hand. Instead, his performance got better and better and better, straight through last night’s Christmas special, and I won’t hesitate a second in saying he is giving the single best performance on TV. Visually, this was a marvelously cinematic season, and Murray Gold’s stirring symphonic score has never been better. Series Six saw Doctor Who stepping up its game in so many ways, and if narrative issues held it back from being the best show on TV, it certainly belongs in the top five. If you’d like to hear more about the sixth series of Doctor Who, I would highly recommend listening to this podcast, in which Sean Chapman and I take a look at the entire season, episode-by-episode. A paragraph isn’t enough to describe the awe-inspiring brilliance of Showtime’s complex and character-driven thriller Homeland, but I’ll give it my best shot: in a nutshell, the series follows an unstable CIA analyst, Carrie Matheson, who suspects a recently rescued POW, Sgt. Nicholas Brody, of being a terrorist. It’s a premise that seemed destined for a miniseries, but as the first season went along, the plot thickened, the characters became more fascinating each and every week, and it soon became apparent that this is a series with some serious legs. Showrunners Howard Gordon and Alex Gansa, both of whom hail from the world of 24, have crafted a drama infinitely smarter, more mature, and more sharply controlled than their previous show, but it’s the characters and their fascinating lives and relationships that make Homeland so compelling each and every week. As Carrie, Claire Danes gives the best female dramatic performance of 2011, flawlessly portraying a woman both harmed and strengthened by her extreme amounts of neurosis, and as Brody, Damian Lewis is just as impressive, albeit through subtlety and restraint. I don’t want to spoil anything, but suffice it to say, Lewis is so damn good that I was rooting for him to achieve his goal by the end, something I never thought possible at the series’ outset. Season two can’t come soon enough. My favorite TV show of all time is HBO’s The Wire, and I like to describe Game of Thrones as The Wire in the middle ages. The comparison is far from perfect, but The Wire, with its dense, novelistic structure, was meant to be the great American novel for television, and Game of Thrones literally is a great American novel adapted to television. George R.R. 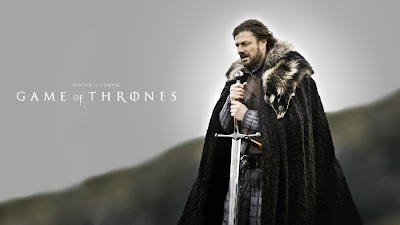 Martin’s work is so sprawling and vast that a TV version seemed impossible, but without ever opening one of the books, I was hooked from the get-go, and though Game of Thrones achieved brilliance from moment one, it only got better and better as the season barreled along towards its heart-wrenching conclusion. Game of Thrones is fantasy, but it is complex, adult, and nuanced fantasy, and the ensemble – including the great Peter Dinklage, Emmy-worthy newcomer Emilia Clarke, Sean Bean, Lena Headey, and others – is simply masterful. Game of Thrones was the best new show of 2011, and as it continues, I could easily see it entering the pantheon of all-time great TV dramas. This show, of course, already entered that pantheon, and after the genius of the third season, I wondered if AMC’s Breaking Bad had any more to give. 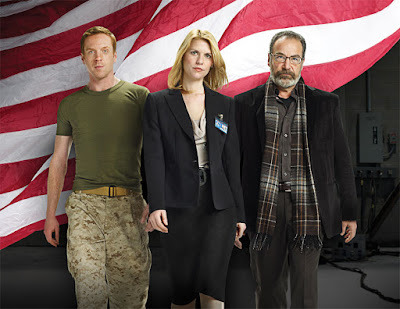 But Season Four was easily the show’s greatest year yet, as creator Vince Gilligan and company delivered a weekly master class in building tension and paying off long-simmering character dynamics. 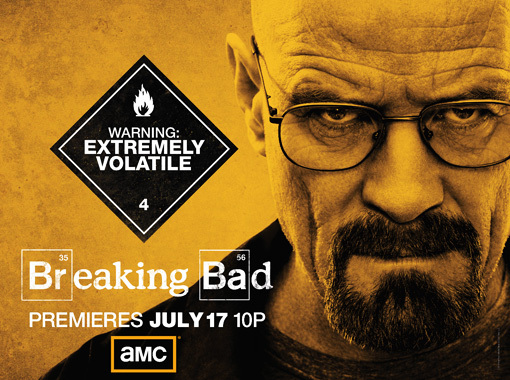 This was the year that saw main character Walter White reach destructive new lows, elevated Jesse Pinkman, TV’s most fascinating character, to co-lead status, and solidified Gus Fring as one of the scariest villains in TV history. This was a nearly perfect season, where every element that was introduced was paid-off satisfyingly somewhere down the line, where each episode was better and more exciting than the last, built with flawless pacing that gave each hour purpose and weight, where each episode ended with a scene rivaling the shootout in last year’s “One Minute,” where the finale somehow lived up to everything the show had done up to that point, and through it all, Bryan Cranston, Aaron Paul, Giancarlo Esposito and others delivered the best performances on American TV. This is one of the greatest TV drama seasons ever produced, right up there with the fourth seasons of Mad Men and The Wire, and as Breaking Bad heads into its final season next year, it has an incredible history to live up to. 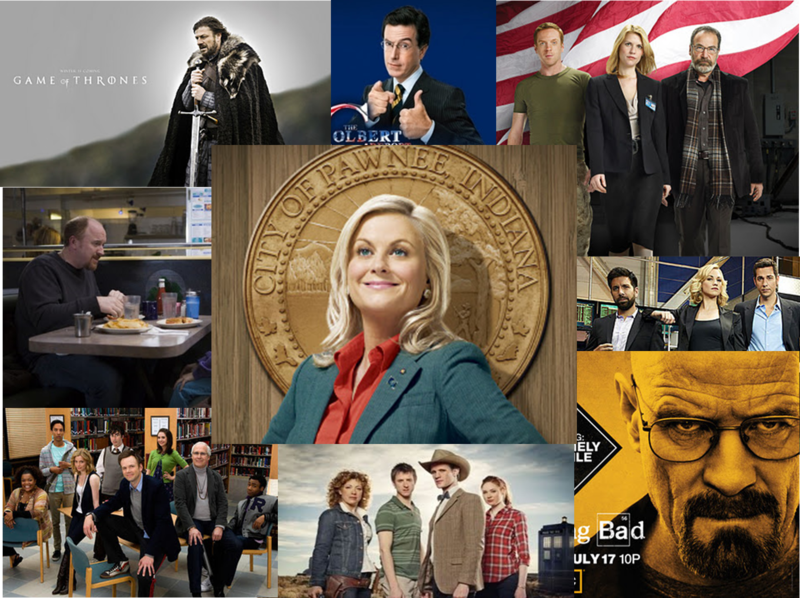 In 2010, Parks and Recreation easily solidified its position as the best comedy on TV, and by a wide margin at that. In 2011? It entered the conversation of “best TV comedy of all time,” and at this point, I’m inclined to say it really is the best comedy in the history of the medium. Mike Schur, Greg Daniels, and all the other writers understand their brilliant ensemble expertly and know how to use each character perfectly, not just episode-to-episode, but moment-to-moment. This allows them to get organic, screamingly funny humor out of the cast, but also to go deeper, to spend time warming our hearts in between fits of laughter. The ridiculously talented ensemble, of course, is game for just about anything. Amy Poehler is the best actress on TV, comedic or dramatic, and she has turned talented optimist Leslie Knope into a protagonist for the ages. Nick Offerman’s Ron Swanson, meanwhile, is by far the funniest man on TV, though in recent episodes, he’s been matched by Chris Pratt’s Andy Dwyer. April Ludgate (Aubrey Plaza), Tom Haverford (Aziz Ansari), Ben Wyatt (Adam Scott), Chris Traeger (Rob Lowe), Ann Perkins (Rashida Jones)…what an amazing cast. I love these characters as much as any other collection in TV or film. Just look at the show’s track-record this year. It’s insane. The third season, which aired entirely in the Spring, was absolutely perfect, sixteen flawless episodes comprising the best TV comedy season I’ve ever seen. The fourth season, of which ten episodes have aired, has been more or less just as good, with emphasis put more on heart than humor. 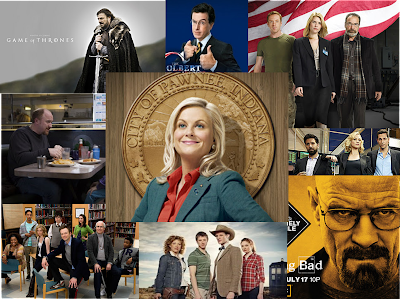 Parks and Recreation aired twenty-six episodes this year, and there isn’t a clearly weak one in the bunch. Has any other TV show ever accomplished something like that? Yes, Breaking Bad didn’t air any weak hours this year, but it’s a serialized drama; if the story is good, it’s good for all thirteen hours as long as the execution remains strong. Parks is serialized to a degree, but it still tells an individual story each week, usually multiple ones, and somehow, some way, they’ve all been good all year long. I’ll say it again: that’s INSANE. No other show has this level of command over its characters, universe, and story. 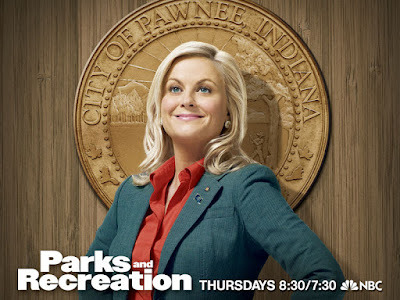 Parks and Recreation was the best show on TV in 2011, no questions asked.